Lord Balarama's Appearance Day - Aug 10, 2014 ~ The Toronto Hare Krishna Temple! Sunday, August 10, 2014 marks the auspicious appearance day (birthday) of Lord Balarama, Lord Krishna's older brother! Lord Balarama symbolizes strength and compassion and we invite you to take part in the celebrations at the Hare Krishna Temple. The festival will kick off at 6pm with kirtan and will feature a special spiritual discourse on Lord Balarama. 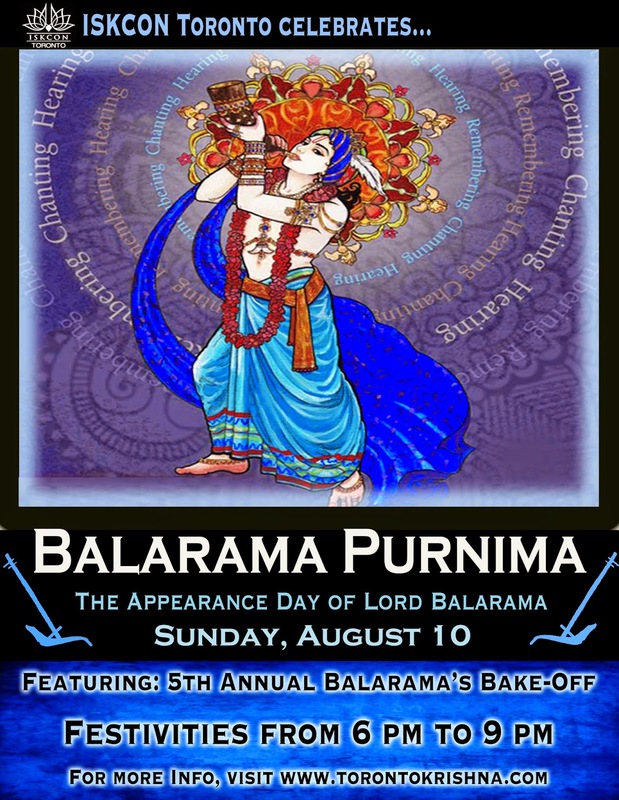 After the class, Toronto's Hare Krishna Temple will present the Fifth Annual Balarama's Bake-Off! Members of the community would have been assigned pastimes of Lord Balarama and have been challenged to come up creative sweet items related to Lord Balarama. The participants will then present their offerings in a fun and creative way. You won't want to miss it! 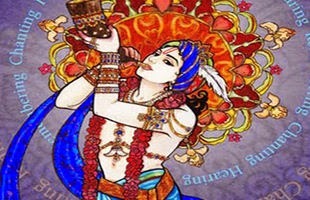 Festivities will conclude with more kirtan and a huge vegetarian feast! August 10 is also the last day of Jhulan Yatra. A specially decorated swing will be arranged by the devotees for Sri Sri Radha and Krishna to sit and and accept the flower offerings from the devotees. Please join the festival and get a rare chance to personally swing their Lordships Sri Sri Radha Krishna. Finally, following Balarama Purnima, the countdown for Sri Krishna Janmashtami starts, the biggest birthday bash in town for Lord Krishna. This year, Janmashtami falls on Sunday, August 17, 2014. To make the most of that weekend, we will be having exciting activities from Saturday, August 16 to Monday, August 18. Please mark your calendars and join us in creating a spiritually charged Krishna Conscious long-weekend. More information about what to expect will be coming your way soon!